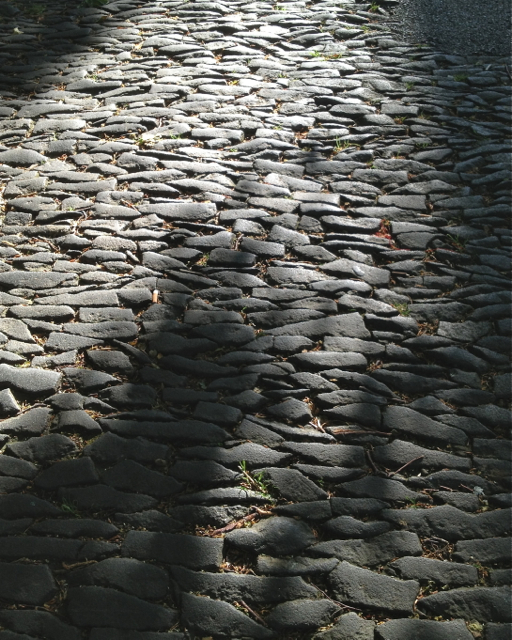 Chips or flakes of dark grey basalt have been packed together on end to form a paved footway. A cigarette end, left of centre, gives an idea of the scale. What do you call a man with a cheese on his head?